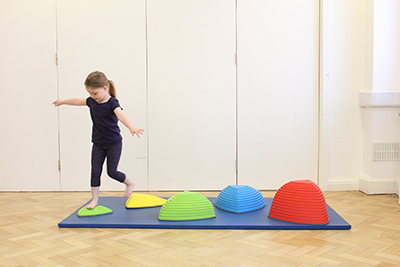 Positioning during daily routines and activities to promote and maintain good postural alignment which forms a base to facilitate motor development & function. Adapting toys for play to explore and enhance opportunities for motor learning. Expanding mobility options so that the child can interact more with his/her surroundings and learn. Using adaptive or assistive equipment effectively to promote independence and participation. Assessing the need for braces or orthotics and other durable medical equipment, such as standing frames and wheelchairs to facilitate independence and participation. Educating parents about their child’s specific condition and getting them actively involved in therapy and progressive home exercise programs to ensure sustenance of therapy. Rehabilitation of children and adolescents post sports injuries or surgeries. Cardio-Pulmonary rehabilitation in Paediatric conditions. Birth defects such as Spina bifida, Hydrocephalus, etc. Neuro-muscular disorders: Muscular dystrophy, Spinal Muscular Atrophy, etc. Metabolic disorders in children leading to developmental delay, etc. To arrange an appointment with our Paediatric Physiotherapist call 800 UAE (823).